The School of Christian Thought is pleased to announce that Professor Richard Bauckham will deliver the A. O. Collins Lecture for fall 2013. The geographical information in Mark’s Gospel, especially about Galilee, has often been thought to be confused and certainly presents some problems. The lecture uses the idea of a ‘mental map.’ The way we construct our spatial environment in our minds is very different from the maps we see on paper or on screen. A close look at Mark’s geography shows that it makes very good sense if it reflects the mental map of a Galilean fisherman based in Capernaum. 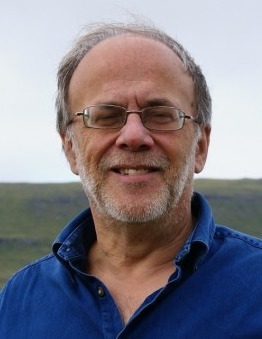 Richard Bauckham was until recently Professor of New Testament Studies and Bishop Wardlaw Professor in the University of St Andrews, Scotland, and is now Professor Emeritus at St Andrews. He was born in London in 1946, and educated at Downhills and Merryhills primary schools and Enfield Grammar School. He then studied at Cambridge, where he read history at Clare College (gaining a B.A. Honours degree, first class, and a Ph.D.), and was a Fellow of St John’s College for three years. After teaching theology for one year at the University of Leeds, he taught historical and contemporary theology for fifteen years at the University of Manchester, before moving to St Andrews in 1992. He is a Fellow of the British Academy and a Fellow of the Royal Society of Edinburgh. He retired in 2007 in order to concentrate on research and writing, and is Senior Scholar at Ridley Hall, Cambridge, where he does some teaching for the Cambridge Federation of Theological Colleges. He is also a Visiting Professor at St Mellitus College, London. From 1996 to 2002 he was General Editor of the Society for New Testament Studies Monograph Series. He is an Anglican (but not ordained), and was a member of the Doctrine Commission of the Church of England for some years. In 2009 he was awarded the Michael Ramsey prize for his book Jesus and the Eyewitnesses, and in 2010 the Franz-Delitzsch-Award for a volume of collected essays, The Jewish World around the New Testament. He has traveled widely giving lectures and conference papers. Though his permanent home is now in Cambridge, he returns to St Andrews frequently. When he can find the time, he writes poetry, and has also written two children’s story books about the MacBears of Bearloch (published on his website: http://richardbauckham.co.uk/). The lecture will be held in Belin Chapel in the Morris Cultural Arts Center on the campus of Houston Baptist University. The A. O. Collins lectures began in 1993 with the goal of bringing recognized scholars to address the university community in current trends in theology, religious studies and philosophy. The series is named for Dr. A. O. Collins who chaired HBU’s Department of Christianity and Philosophy until his retirement in 1990. Over the last two decades, due to the generosity of former students and friends of the university, top scholars from around the world have lectured on our campus on a wide range of topics on religion and philosophy. Please join us for this lecture. It is an important event for our campus and community. Should you have questions, please contact the acting chair of the Department of Theology, Dr. Ben Blackwell, at 281-649-3000. By David B. Capes in Uncategorized on May 31, 2013 .